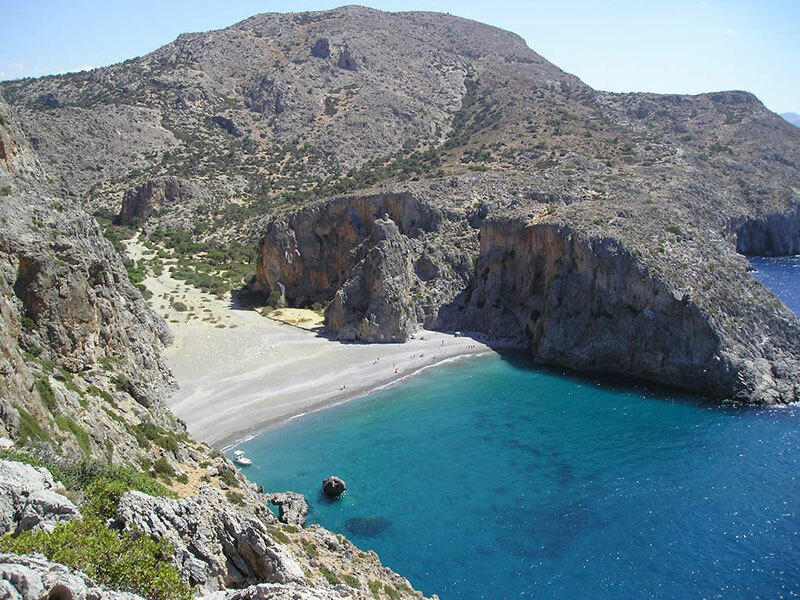 Agiofarago beach in Crete is presented in our current post, following Matala Beach in Crete. 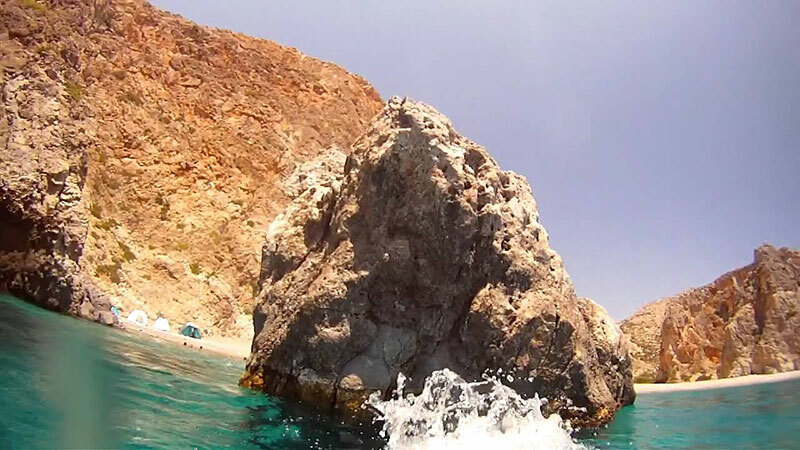 Agiofarago beach is located about 80km south of Heraklion city, at the exit of the homonymous gorge. The beach at the exit of the gorge is spectacular, with small pebbles and crystal clear waters, which are usually very calm. West of the beach is formed a beautiful arch, beneath which you can swim. Just above, there are towering vertical cliffs, standing imposingly. Do not be surprised if you see an ascetic praying on the rocks. The beach is ideal for camping, but you have to carry all your things into the canyon. However, there is the ability not to take water with you, but to collect it from the well in front of the chapel, which is just 5 minutes from the beach. Next to the well there is a trough with water. Goats drink water from it. If you have time, fill with water and the goats will run to drink, feeling grateful! 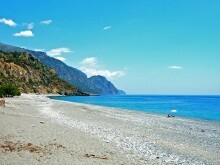 Although Agiofarago beach would be appropriate for nudism, it is prohibited, as there are many ascetics here, leading a monastic life here, nudism is prohibited. If you carry your sports shoes, you are encouraged to climb the rocks to the east and go to the top. The view here is fantastic. Just behind, there is a hidden sea lake with brackish water of incredible beauty. It is called Vourvoulitis and communicates underwater with the open sea. If you want to get off the lake, at some point after it is too dangerous. To see exactly where, see the map, which shows a dark area east of the beach. 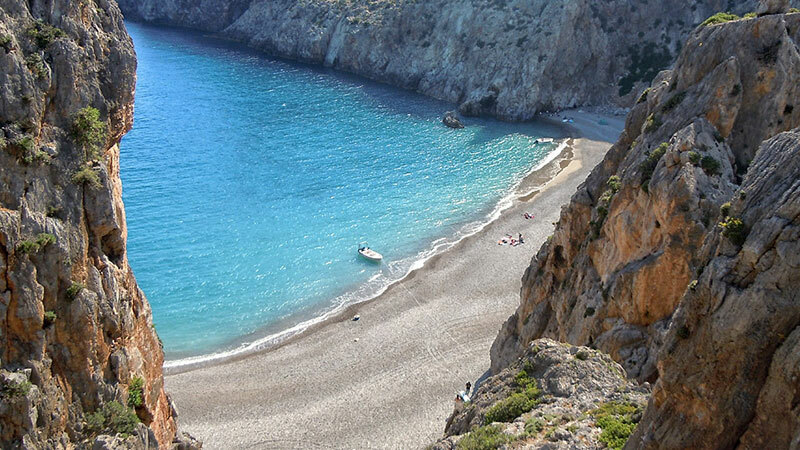 To get to Agiofarago beach, you either have to cross the gorge with easy hike of about 30-50 ‘, or take a boat from Matala, Agia Galini, or Kali Limenes. 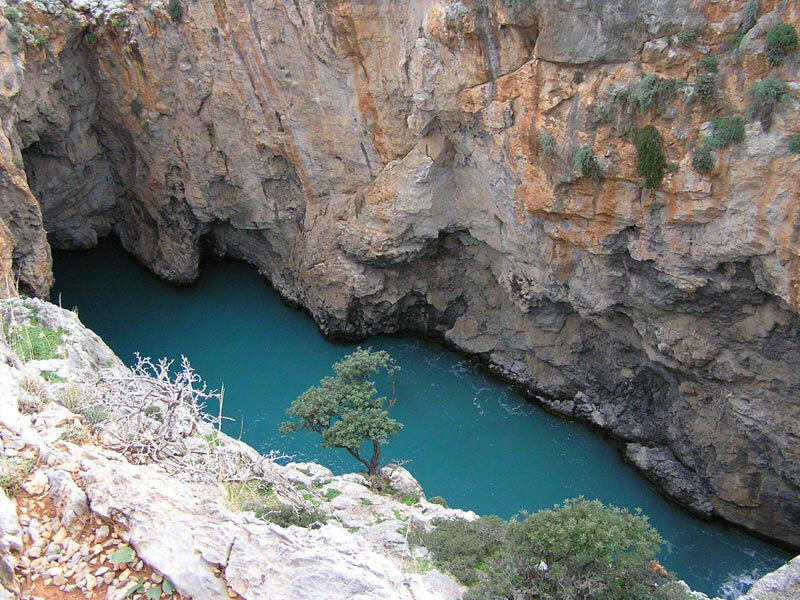 We definitely recommend the first, as the path between the vertical cliffs of the gorge is breathtaking. 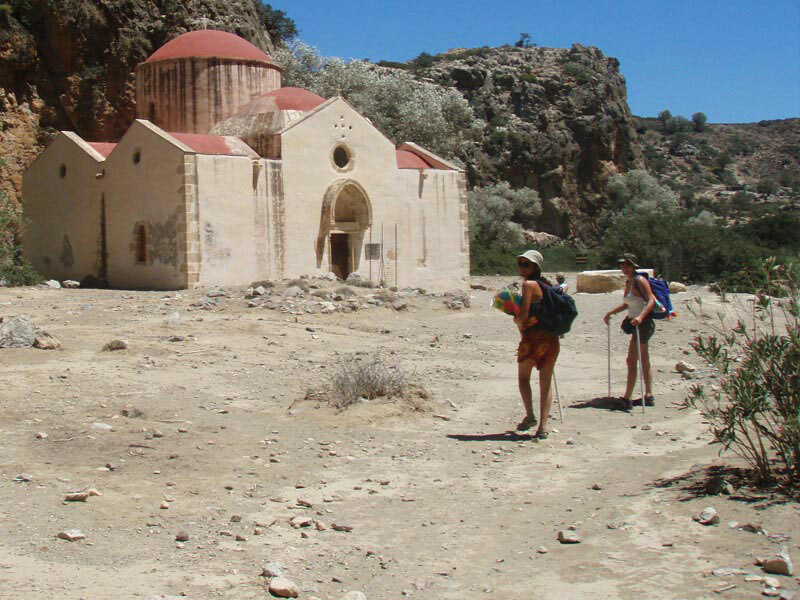 On the way you will see large caves in which ascetics live and the chapel of St. Anthony, with a well outside. If you are coming from Heraklion, you have to drive to Messara, then pass from Sivas and reach the Monastery of Odigitria. Right there, there is a dirt road (take the left one, the right one leads to Vathi) leading to Kali Limenes. After 4km, turn right (possibly there is still a sign for Agiofarago beach) and continue your route in the small valley until you reach a dead end. There, you can leave your car in the large parking. Be careful! Do not leave your car under the shade of a few trees, unless you want to find its roof damaged by the hooves of goats that will climb to eat leaves! Then walk through the gorge for half an hour until you reach the beach. Just opposite the beach, you can see a low cliff, called Papadoplaka. In Papadoplaka there are many potholes with clear sea salt, which is gathered by the locals. So if you come by boat from Kali Limenes, you can collect coarse salt for home. 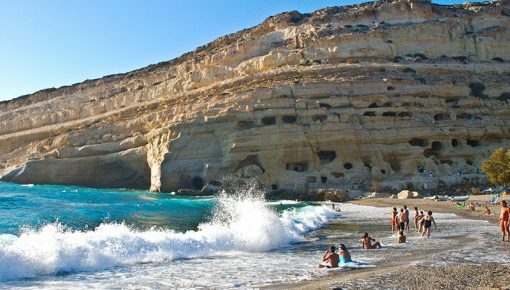 For an easier access to Agiofarago beach, you could find a nice holiday villas in Matala or even in Pitsidia. Besides, there is no doubt that only one visit will not be enough for you. This heavenly beach will captivate you forever. 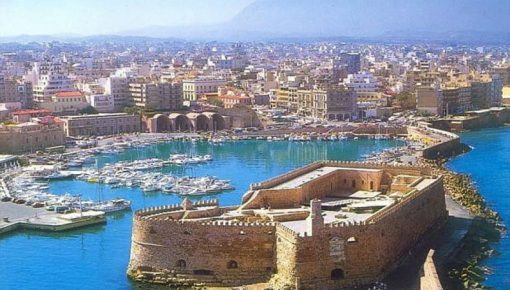 Posted on 29 Apr 2015 in Heraklion and tagged Agiofarago Beach, Beaches In Crete, Beaches In Heraklion, Kali Limenes Beach, Matala Beach, Pitsidia.